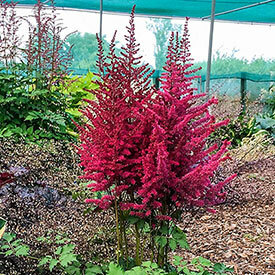 Astilbe is the perfect choice for adding lush colour and texture to summer gardens. Their feathery fronds stand out above delicate, fern-like foliage. 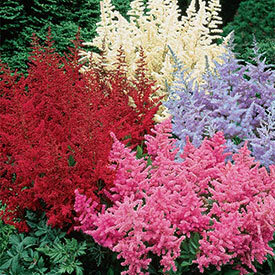 In beds or borders, astilbe lends some woodland wonder to the garden.